If you don’t know how to buy books from amazon to Nigeria, let me briefly explain how I do it. 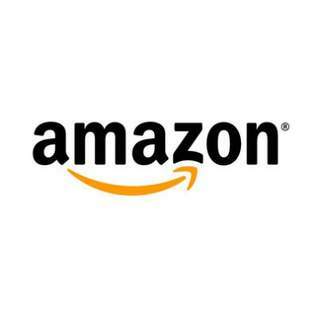 I buy books on amazon from Nigeria by making use of amazon gift cards as my payment option. They are cheaper to me compared to using my Nigerian banks debit cards. When ordering the books on Amazon, I use a USA address as my shipping address during the checkout process. The items I buy get delivered to the USA address after which they are shipped to Lagos, Nigeria. I follow this same steps I whenever I shop on amazon from Nigeria, be it for physical products or digital content. There are lots of shipping companies in Nigeria which you can use. Most of them will even give you free USA address to use for your amazon shopping. The address will be somehow unique, thereby making it easy for the shipping companies to alert you once they receive your items. You will also be able to track your shipment, hence you will know when they’ve been delivered to your USA address and when they arrive Nigeria. If you don’t know any Nigerian shipping company you can use when you shop on amazon from Nigeria, you can contact me and I will help you buy and ship your books from USA to Nigeria.